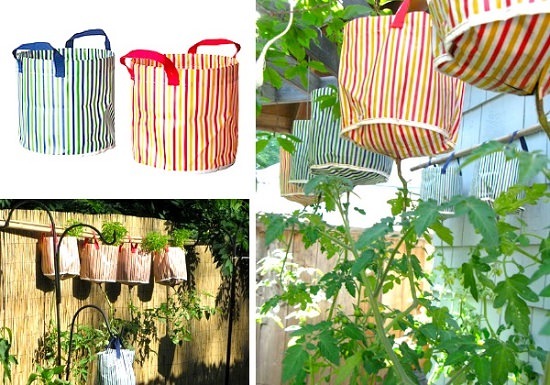 Make upside down planters to create vertical space and interest in your small garden. 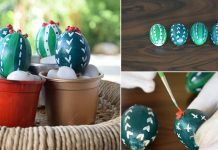 Here are the 17 DIY Upside Down Planter Ideas with tutorials! 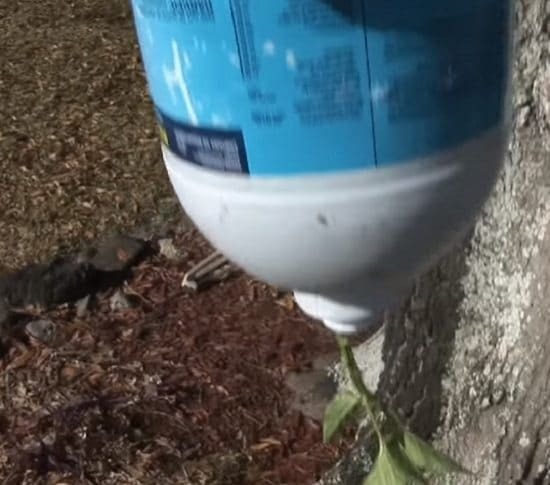 Upcycle a soda bottle to make an upside-down planter for any leafy plant! You can plant a variety of plants in this planter. Here’s the tutorial. 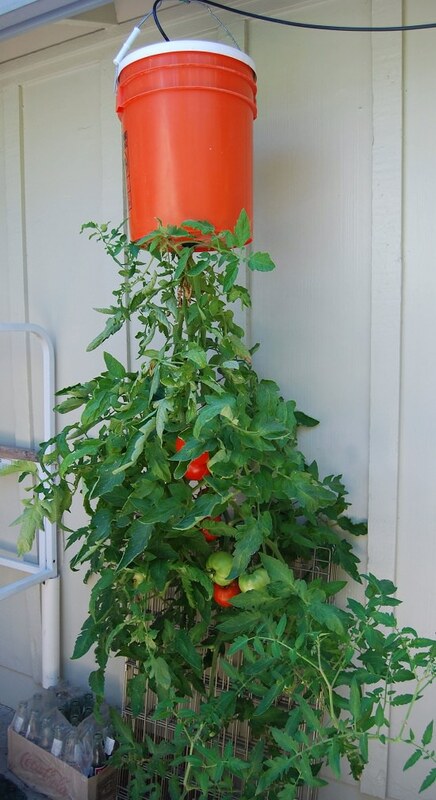 Create an upside-down planter to grow tomatoes easily using a 5-gallon bucket with a lid and a few more supplies. Check out this informative article to know everything about the project in detail. 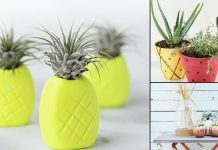 The world is taking measures to decrease plastic waste, contribute your part by recycling plastic bottles to make fun and easy DIY upside-down planters. 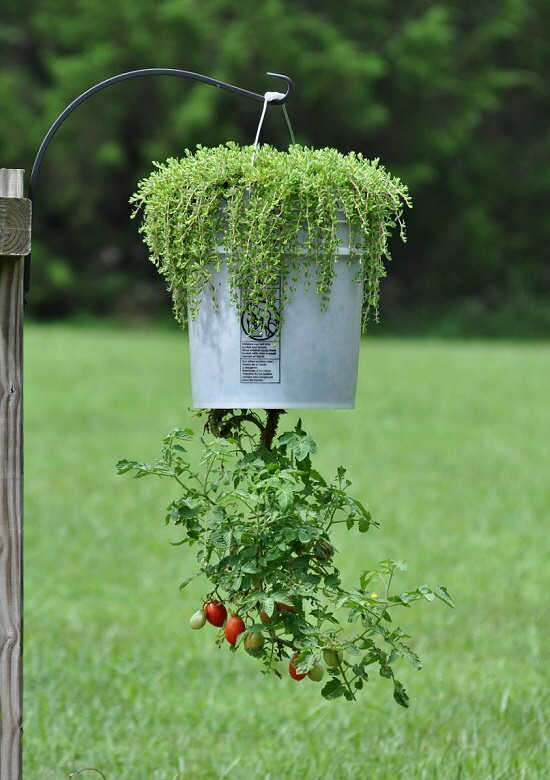 Hanging planters can be made out of almost anything, use plastic containers to recreate this upside down tomato planter project. Visit here. 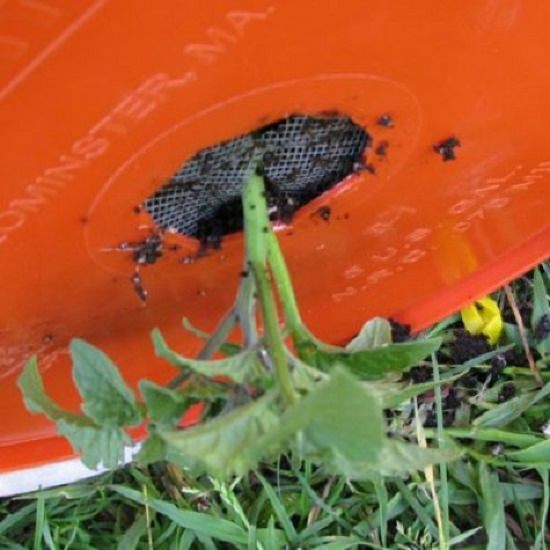 Transform kitty litter buckets into something planter for growing vining plants. Get the directions here. 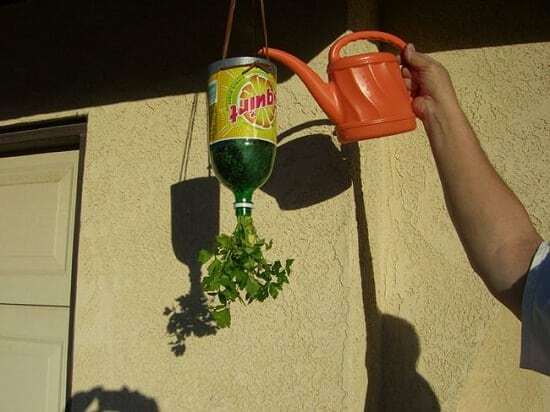 If garden space is an issue, try this inverted planter idea by garden therapy! 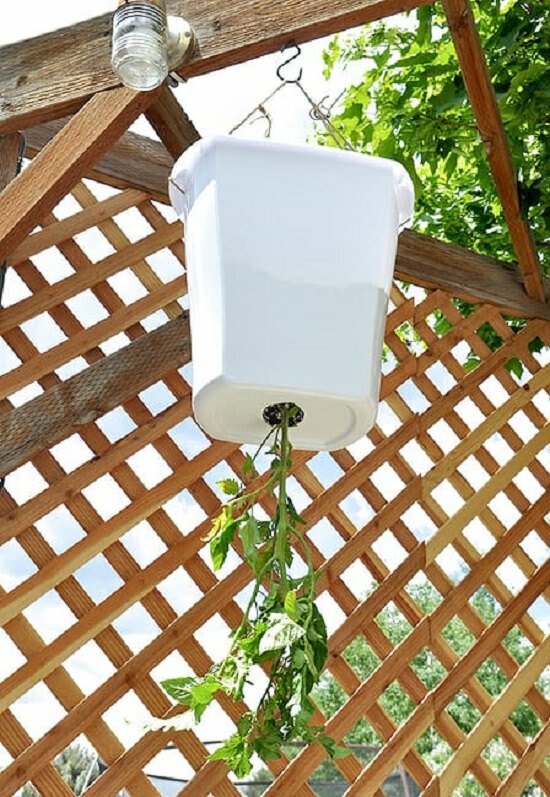 It saves a lot of space and works great for fruitful harvest! 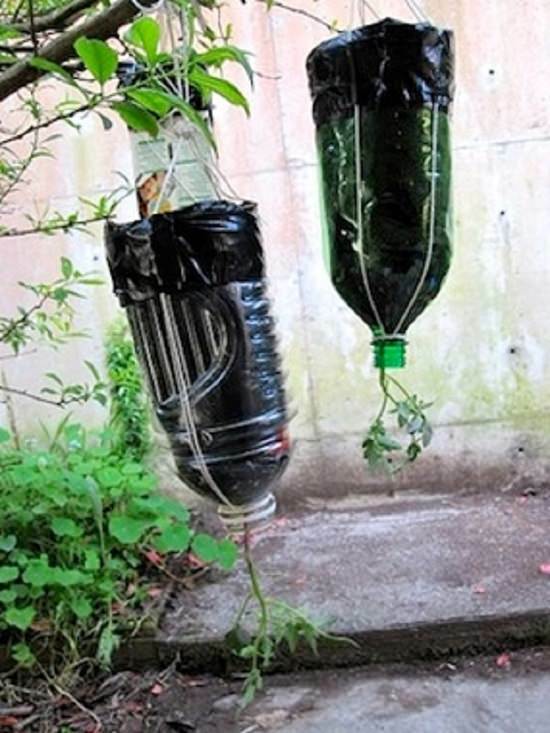 Create a topsy turvy planter using bottles, planting essentials, duct tape, twine and few other supplies. Find the DIY here. 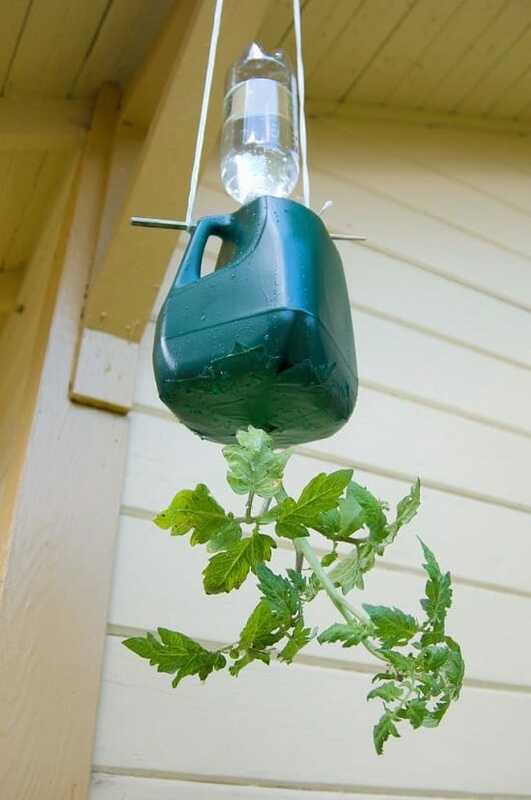 DIY an upside down tomato planter using a two-liter soda bottle or a milk jug. Take inspiration from the article available at the Apartment Therapy! 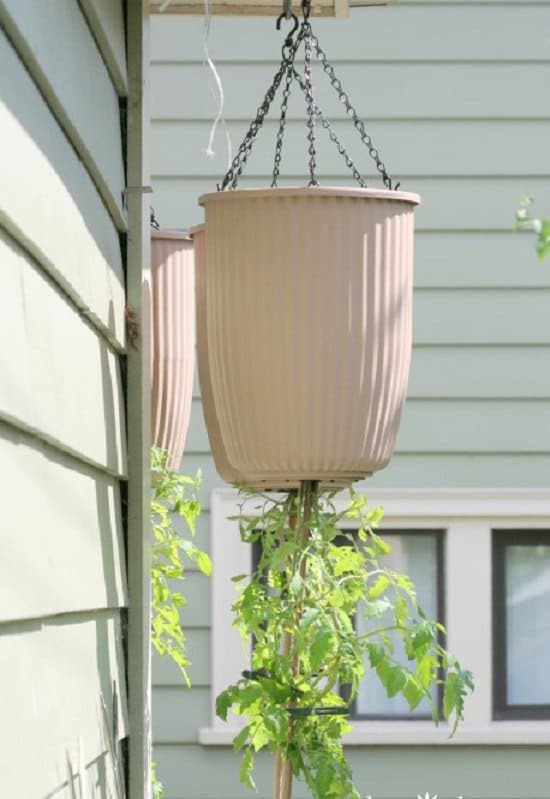 Find the right container and complete this tomato planter project! You’ll find the tutorial at WikiHow. This DIY planter project is done by the Howcast; it’s easy and fun to create! 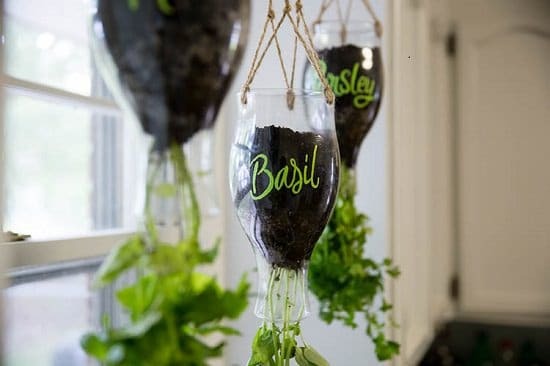 Make your indoor herb garden more creative and attractive with these hanging planter ideas! Grab a Califia bottle and follow these steps. 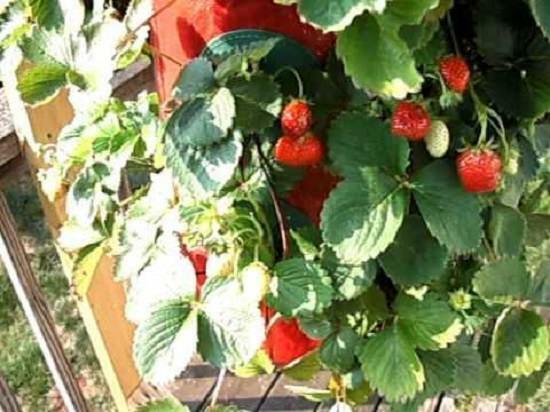 Growing strawberries upside-down can be an option, check out the detailed guide here. 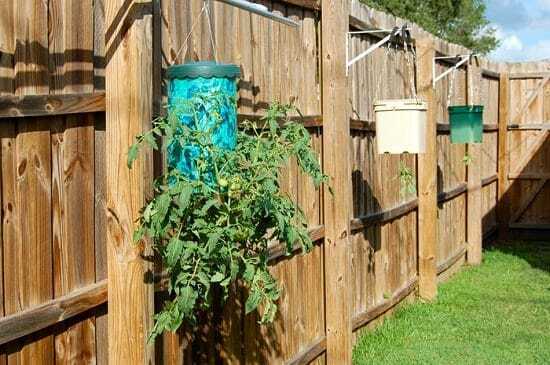 Follow this link to get the how-to of growing tomatoes upside-down! It is not different from the other projects in this list. 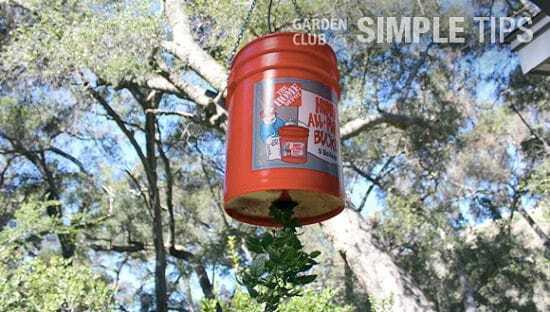 Grow herbs, tomatoes or other nightshade family plants upside-down by recycling plastic buckets! Here is the idea. Like any other topsy turvy planter, you can create this one easily too! We found the idea here. 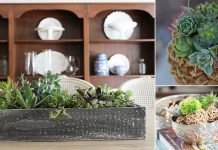 Take inspiration from these 10 interesting ways to create topsy-turvy planters! 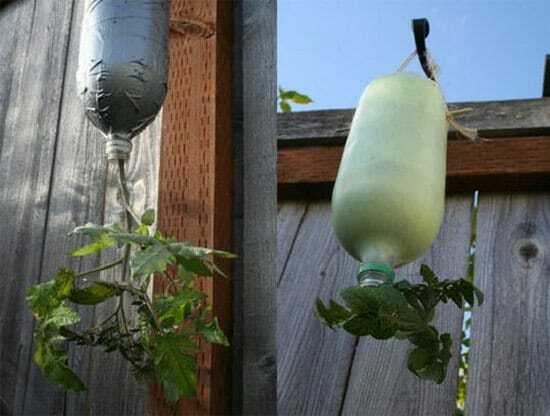 This way you can grow more plants in less space. Click here for the post. 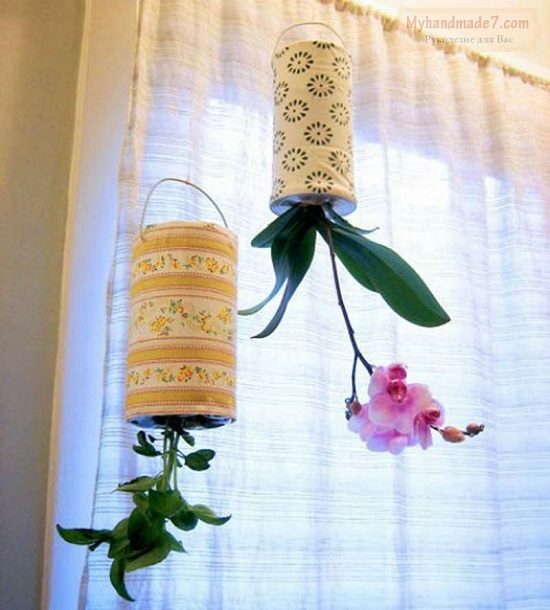 Use the IKEA planter bags in an entirely different way by creating upside down planters. Find the tutorial here! Companion plant some dwarf French Marigolds in the tops of your hanging pots, or in additional holes around the sides. Marigolds are known to repel Whitefly, which attack Tomatoes.